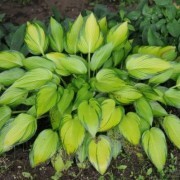 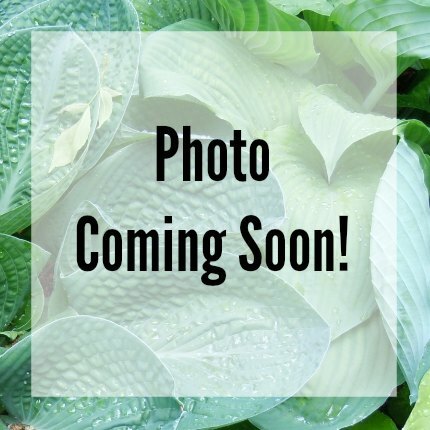 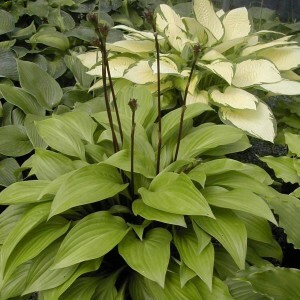 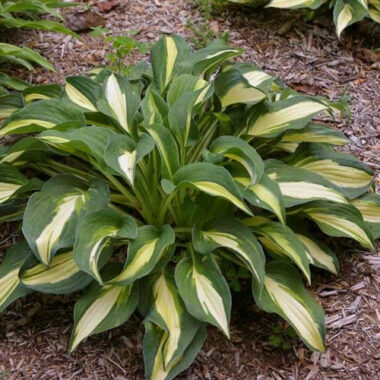 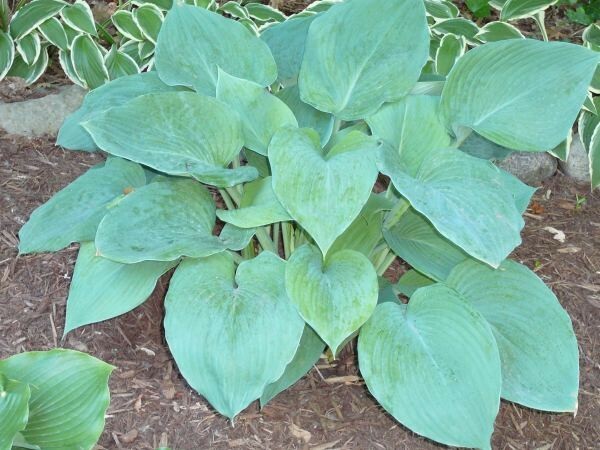 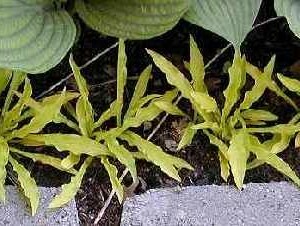 Bell Bottom Blues Hosta – A large vigorous grower, with great substance, shape and an intense blue coloring. 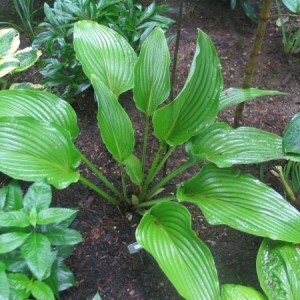 Forms a fountain like, upright clump. 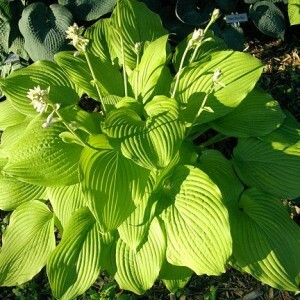 Near white flowers in June/July. 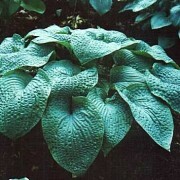 Large: Large fountain like mound of blue-green foliage, about 8″ by 7″ (14 – 15 vp); wavy edge leaves with good substance.